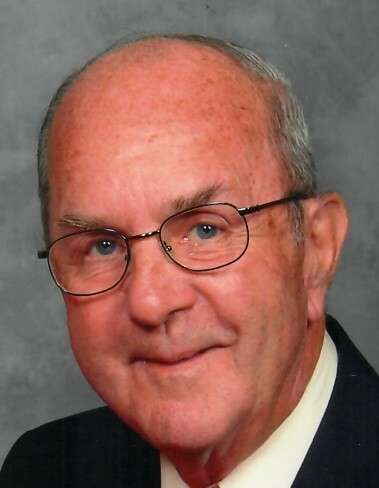 Straub – Jack E., 85, Vinco, went to be with the Lord on December 3, 2018 at his home. Born on March 18, 1933 in Vinco, son of George B. and Verna B. (Walk) Straub. Preceded in death by parents and a sister, Dolores Wright. He is survived by his loving wife of 66 years, Donna D. (Wolfe) Straub; children, Cheryl A. (Barry) Dysert and Jack E. (AnneMarie) Straub Jr., all of Fishers, IN; grandchildren, Bryan (Rachel) Dysert, Laura Beth (Brian) Botos, Jack E. Straub III, and Claire L. Straub; great grandchildren, Waverly and Gideon Dysert, and Easton Botos; brother, James R. (Darlene) Straub, Vinco. Jack was a 1950 graduate of Ebensburg Cambria High School. He was a US Army Veteran serving during the Korean War. Jack was employed at Swank Hardware and later retired from United Gilsonite Labs after 29 years of service as an Executive Salesman. He was a lifetime member of Vinco Brethren Church, where he served various offices for many years. Jack enjoyed coaching East Taylor-Jackson Little League Baseball for 30 years. He will be remembered for his generous nature and loved being Pop-Pop to his grandchildren. Friends will be received from 2-6 p.m. on Thursday at the Baker-Harris Funeral Chapel, Conemaugh and from 10 a.m. until time of service at 11 a.m. on Friday at Vinco Brethren Church, with Pastor Zachary Yonko officiating. Private interment will be at Benshoff Hill Cemetery. The family suggests contributions be directed to Vinco Brethren Church, Building Fund, 123 Adams Ave, Mineral Point, PA 15942 or to AseraCare Hospice, 100 CTC Dr #110, Johnstown, PA 15904 in memory of Jack. Online condolences may be posted to www.wharrisfuneralhome.com.